With a vengeful stalker on her trail and a hurricane in the Gulf, Skyler Danforth relocates to South Padre Island only to find a new danger when her neighbor, Zach Bailey takes her heart by storm. Sky tries to fit in and be patient when she realizes that she is falling fast for Zach, but he's on the rebound and cautious. Sky is a nurse and after two attempts on her life, moves to South Padre to live with her baby sister in hopes of eluding her stalker. Cassie, a brilliant prodigy, is in over her brainy head when a local heart-breaker and fire fighter, Javier Rios pursues her. He is attracted to her natural innocence and beauty, but thinks she is only a restaurant delivery girl. He falls hard for the geeky, Master’s degree wielding Marine Biologist. When government agent Mike “The Iceman” Burke invades her South Padre Island turf, deputy Darla Calhoun is assigned as liaison officer to his team. Her skills as a sniper come in handy when a gang of human traffickers strikes close to home, kidnapping local women including her friend, Cassie. Darla is recovering from her husband’s suicide and trying to be a good parent to her twin sons. The ICE assignment takes her out of her misery and plunges her into a dangerous mission and a steamy affair. Mike and Darla tear up and down the Intracoastal Waterway in search of the kidnappers and the captive women while Rafael and Javier conduct their own investigation. Cassie escapes but is recaptured and thrown into the hold of a rusting and leaky grain barge Available on Amazon & Amazon UK. When Chloe falls in love with an old Victorian, she convinces Rafael to buy her dream house. She envisions their children playing on the extensive grounds and harvesting fruit from the long-neglected citrus orchard. Undisturbed for decades, ghosts begin speaking to her. Now, with renovations underway, the house begins to divulge its secrets. Who knows where the bodies are buried? Meanwhile, Rafael and his team of deputies are busy trying to protect the community from a ruthless home invasion gang. The lower Texas coast is at risk on more than one plane, as the robbers target area citizens and tortured spirits are torturing the ones he loves. 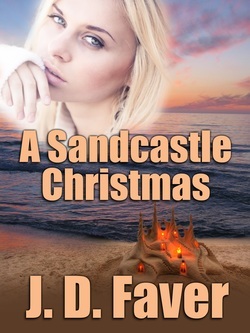 Come see who’s stirring up Christmas trouble and raising the temperature on the coast. ‘Tis the season, but mayhem doesn't stop on the Texas Gulf coast...even for Christmas. When the sheriff finds an infant abandoned in the a manger scene at church, it sets off a string of events including murder, a stalker, a lot of seasonal tension and heartwarming happenings for the gang.